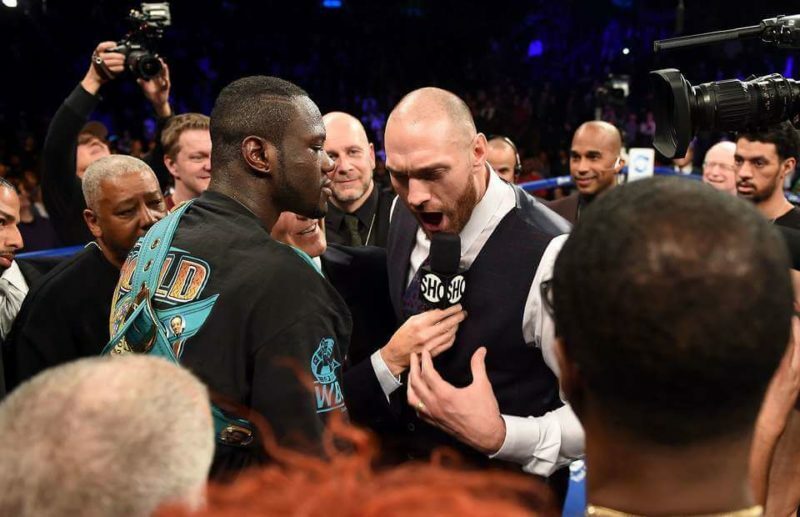 Former world heavyweight champion, Tyson Fury has claimed he is in deep negotiations over a fight with Deontay Wilder in December. 29-year-old Fury made his return to boxing after a 32-month absence with an easy victory over Sefer Seferi last month. The Briton is set to fight Italian Francesco Pianeta in Belfast, Northern Ireland on 18 August and said a bout with America’s WBC title holder Wilder could follow in December. His promoter, Frank Warren, is hoping to secure a world title shot after his fight against the Italian. “Well, actually they’re two competitive and very good fighters but, with due respect to them, we’re actually trying to make the fight with Deontay Wilder,” Warren told talkSPORT. Wilder remains without an opponent following unsuccessful talks to reach deal to fight Anthony Joshua, to decide the undisputed heavyweight champion. Fury stunned Wladimir Klitschko to land the WBA, IBF and WBO world titles in November 2015 before being suspended in 2016, after he failed a drug test and said he was taking cocaine to battle depression. The Briton accepted a backdated two-year ban.